Fresh off the camera! 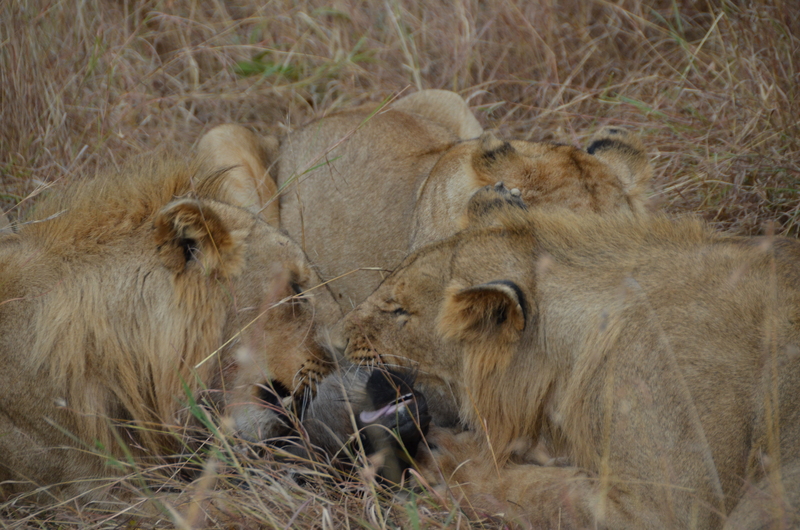 We saw, much to our stunned amazement, a lion pride’s take down of a stranded wildeebeest in front of our own car, on a safari in Maasai Mara, Kenya. More on a follow up post, but wanted to post to the perfectly time Travel Theme! Travel theme inspired by Ailsa from Where’s My Backpack? 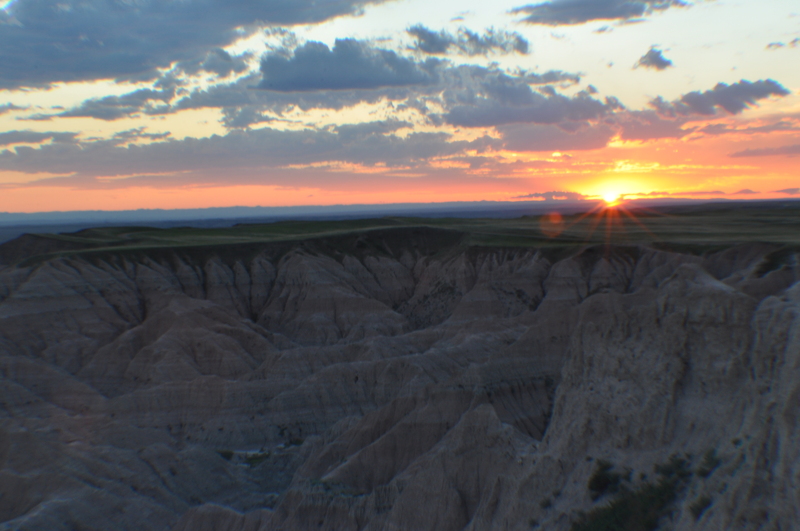 Ever since I saw photos from friends’ vacation at the Badlands, I’ve wanted to go. If people thought I was crazy to take the train in an indirect route, those friends drove all the way from the East Coast. Direct, but speedy, it wasn’t. I didn’t know what to expect. I just saw photos and was enamored with the notion of taking equally cool photos. I didn’t know whether the cliffs went up or down. 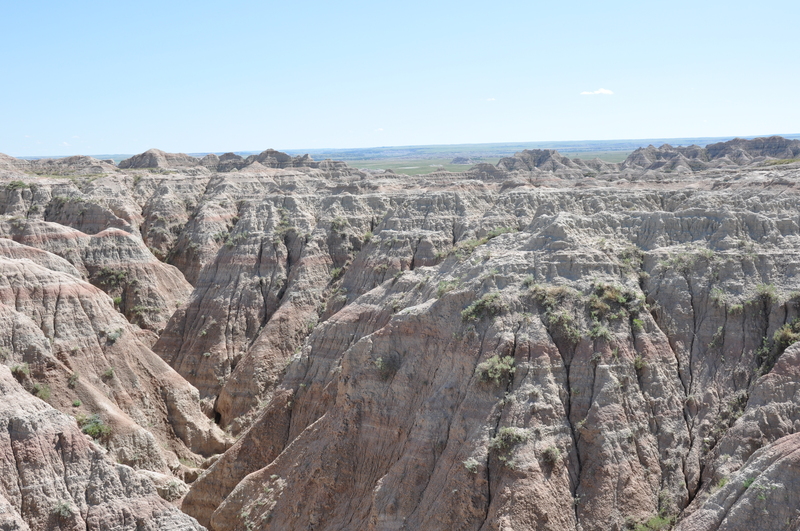 I didn’t expect the Badlands to be so vast and sudden to the landscape.. yet so contained. It felt like I was still driving on flat midwestern plains when the ground suddenly opened up and dropped into crevices. Then half way through, it felt the other way around.. I descended down and was looking up at the colorful array of the buttes. I was startled to see so many motorcycles. It took a while to realize, belatedly, that I am in South Dakota the time when it seems the most people in the year: Sturgis motorcycle rally. 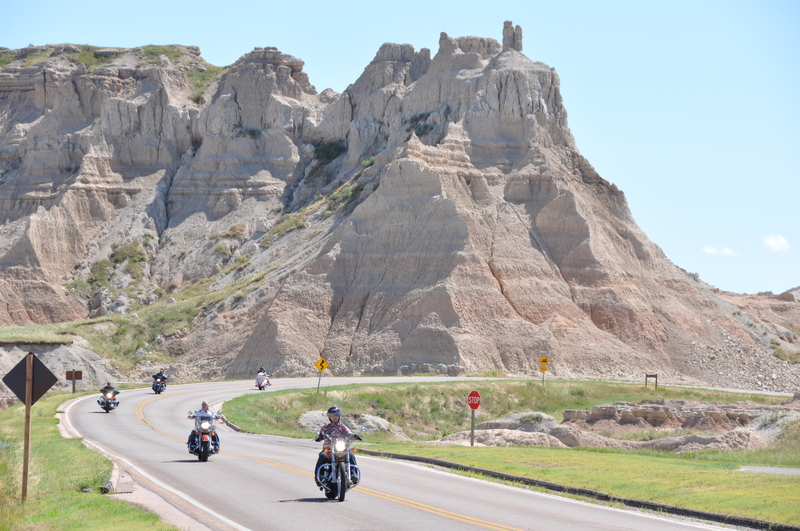 What a backdrop it was, with the swarms of motorcycles thundering by the ancient sandstone landscape. I climbed up Saddle Pass.. and the shape felt exactly like it was called, a saddle. Steep at times, I found myself glancing below my toes nervously. I know it’s bad when I adjust to sling my camera across my chest so I free up both hands and knees. I didn’t hike beyond the actual climb. A true disadvantage of traveling alone is needing to plan my hikes so that I end up back where I left the car. The path was surprisingly solid. I don’t know why I had the impression the ground would be softer, I just did. I was determined to hike more of the park, though. The landscape leveled out to grassy plains on the western end. I started using every pull over to explore for walking paths. The loop road that traversed the park took less than an hour to cover and, yet, with 244,000 acres of natural wildlife, I itched to explore the place more. Especially given its claim as the largest expanse of protected prairie ecosystem in the American national parks. Near the west entrance, I found myself looking at the flat plains, hankering a good walk. I found a nice wide lot perfect for parking the car. I pulled over and stepped out to examine if there were signs of any beaten paths to follow. I had barely walked five steps when I levitated, jumping up a good distance into the air, as a rattle snake snapped at my flipflopped toes. Right then, my desire to hike disappeared and I scampered back in to the car to drive back for the day. 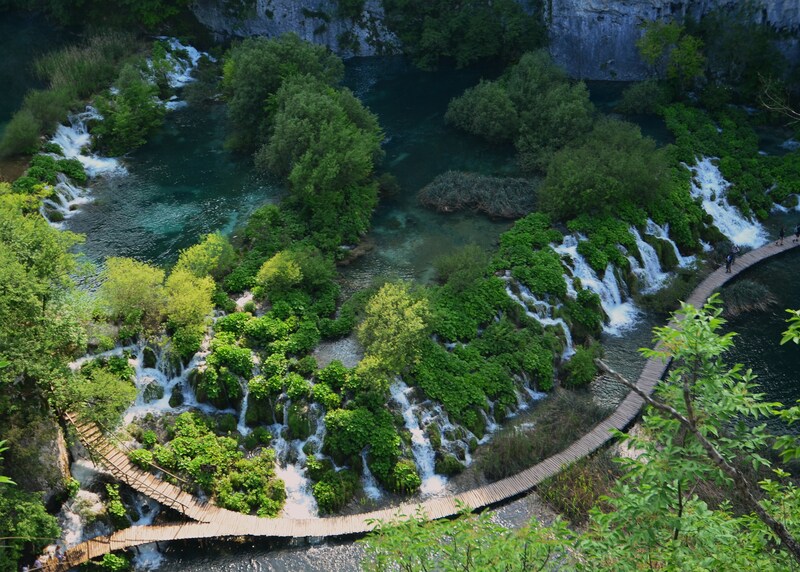 I think no artist trumps Mother Nature..
One of my favourite views at Plitvice National Park, Croatia. Sightseeing and climbing many ancient ruins in Southeast Asia lead to a very unpleasant discovery about myself: I have acrophobia, fear of heights. It’s not just the niggling worry of getting too close to the ledge. I actually get lightheaded, imbalanced when I peer down. It seems to be a recent development. A bit of an inconvenience considering how I like to frame Downward pictures because I find them Dramatic. And that I like to rock-climb, hike, ride horses, ski… What a bother, this condition. Whoa. Fish eye does a wonderful job of distorting proportion to reflect my dizzy spell. For someone who frequently wields the camera, I have deliberately few. I’ve used many ways of taking self-portraits. Mirrors, shadows, timers, fish eye lens, strangers, you name it. This one, I had waded into Lake McDonald at the Glacier National Park, Montana. I was looking for a better angle for some of my shots and found the water also comfortably cold and clear for a sunny day. I looked down (which many people don’t do often enough) and saw a beautiful array of colorful rocks in the lack bottom. A majority of tourists don’t leave their vehicles when visiting any of the US National Parks. Grand Canyon. Teton. 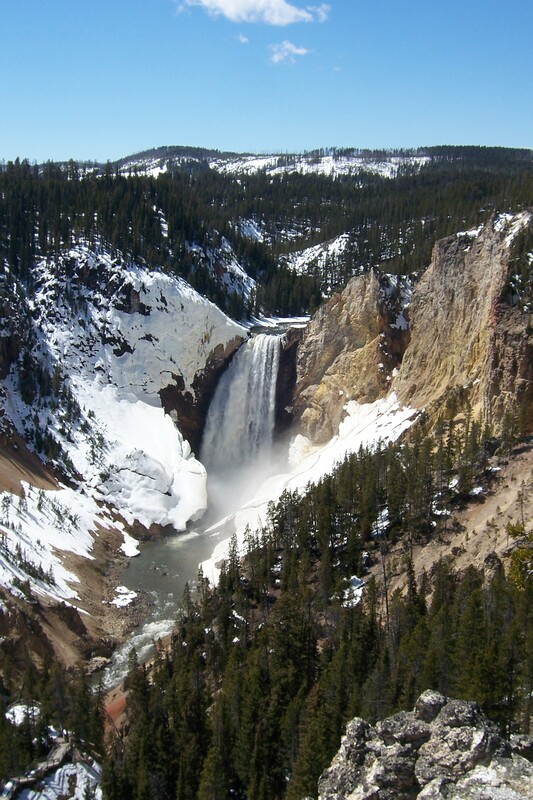 Yellowstone. Glacier. Yosemite. If at all, it is to pull over for a quick snap. And then a restroom stop at the giftstore. I find that fact mind-boggling. Giving abroad has taught me an appreciation of the United States and her geology, her nature, and her clean air. I can’t walk out every morning without taking a long deep satisfying breath of air. I’d be in the suburbs of my childhood home and still find the air cleansing. I once asked my mother if she would ever consider moving back to her childhood home. She said no way. After building a life in the United States, my parents love it for its space, cleanliness, and choices. How right they are. So I honored that by spending two weeks visiting our national parks. Renting a car to get to the parks is largely unavoidable because the country is simply built for driving. But getting out of the car with a day pack and camera and tramping for a day is a choice too few people make. And that is a crying shame. There is only one other country that I’ve been to where I stood at a scenic point and have been utterly blown away but its beauty, ruggedness, and vibrant colours. New Zealand. We are so lucky to have so much park land set aside for our enjoyment. 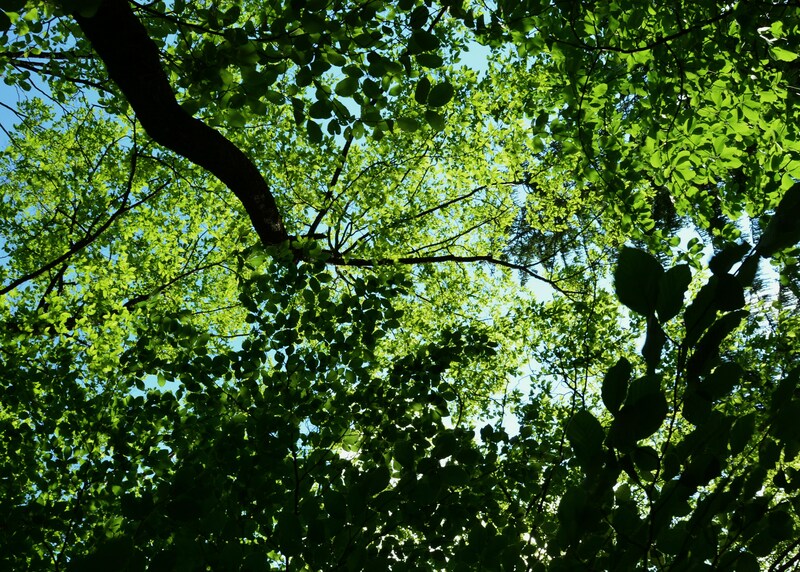 So, folks, the next time you spend less than a few days in one of those grand parks, ask yourself, what is so important that you can’t turn off the engine, grab a bottle of water, lace up those walking shoes, and go out for a long stroll with your loved ones.